Every time I test a stroller I always try to improve it in my mind getting it closer to that perfect model. Occasionally I dream of designing my own model thinking what features from what strollers I would take and what style I would use. As you probably know from my reviews, I am a very practical person who doesn’t want to compromise on style. I do like fashion and I do like brand things. I would rather have one great stroller instead of 5 cheap strollers for every occasion. That being said, I think I finally found the PERFECT full size stroller. Yes, I am talking about Cybex Balios S! This is an all-terrain reversible-seat stroller that has an one-hand compact fold and it weighs only 24 lbs. The combination of the large wheels and all-wheel suspension provide a smooth ride. You can easily push it with one hand. It’s great for long walks at the park, city streets or grocery shopping. You can also turn this baby into a stylish pram by replacing the seat with a carry cot or a travel system by replacing the seat with an infant car seat. It also features huge canopy, adjustable handle bar, extra large basket, adjustable leg rest, flip-flop-friendly brake, and adjustable handle bar. But, its main feature is the deep one-hand recline that goes to a flat position suitable for a newborn. Not many strollers have a flat recline. And if you lift up the leg rest, you child will have plenty of room to stretch. The roomy well padded seat can accommodate a child up to 40 lbs. I like that the seat is positioned higher on the frame and can be used as a high chair at the restaurant. Overall this is an amazing stroller. Very practical and stylish. I really like how compact it folds, flat recline and ability to pair it with my favorite car seats. I think it will be a serious competition for Nuna Mixx2 (which also has a flat recline, but is more expensive). Comparing to Mixx2, Balios S has better colors, more compact fold and lower price. BTW, this modern looking buggy was designed and made in Germany. It comes in five beautiful colors and retails for around $399. Bumper bar is included, but all other accessories need to be purchased separately. I think this is an excellent price for what you are getting. I actually expected it to be higher. -Huge canopy. This canopy is great! It has two large UPF 50+ panels plus another zipped in panel and a pop-out sunvisor for even more coverage. It goes way pass the bumper bar. There is also a medium size mesh peekaboo window in the back with a magnetic closure. I like that they’ve made peekaboo window out of dark mesh so it would allow for the air to get in while still providing sun protection. -Reversible seat. The seat is reversible so your child can face you or the world. Reversing the seat unit is quick and easy thanks to memory buttons. It is 12.5″ wide with the 20″ seat back and a measurement of 22″ from the back of the seat to the top of the canopy. Another cool thing about the seat is that it’s positioned higher on the frame than your on your average stroller so you can use it as a high chair at the restaurant. It also brings your child closer to you promoting better bonding experience. You will be happy to know that it has a very deep one-hand lever recline that goes a flat position suitable for a NEWBORN. It can hold a child up to 40 lbs. To provide your child with even more room to stretch you can lift up the leg rest creating bed-like environment. Perfect recline for long naps and quick diaper changes. I get a lot of emails asking about the BEST recline for a child. I think that the flat recline where only the back of the seat reclines and not the whole seat is the MOST comfortable for a child. It gives them ability to fully stretch unlike the ‘V’ seats where a child is always in a sitting position even when fully reclined. Another stroller that has this kind of recline is Nuna Mixx 2. -5-point harness. It has an adjustable padded 5-point harness with a center release buckle. Because the waist straps and the shoulder straps are connected, it’s very easy to lock the buckle. -Adjustable handle bar. The telescoping handle bar has 4 positions and goes from 37″ all the way up to 43″ from the ground. Shorter and taller parents will be comfortable. -Huge basket. The basket is great! It’s large and very easy to access from the back. I like that it doesn’t have that annoying cross bar in the back like on Balios M model. You can fit a lot of stuff up to 11 lbs. Definitely your large diaper bag plus some baby essentials. -All-terrain wheels. It rolls on four all-terrain wheels with 8″ in the front and 11.5″ wheels in the back. These wheels are made out of high-quality rubber and have foam filling so they never puncture or flatten. Great for long walks at the park, city streets with uneven pavement, or some playground mulch. The front wheels are swivel, but could be locked straight. -All-wheel suspension. The all-wheel suspension together with large all-terrain wheels make it a smooth ride. -One-hand fold. The fold is three-step fold, but you can do it all with one hand and it has a standing fold and automatic lock. Since the stroller folds in half (one of my favorite folds), it becomes a very compact package for an all-terrain reversible seat stroller. This is probably as compact as it can get. The folded dimensions are: 16″L x 23″W x 29″H. -Bassinet option. You can turn your stroller into a stylish pram by replacing the seat with a matching bassinet called Cybex Carry Cot S.
This Pram is the perfect on the go bed. The canopy with extra sun visor offers sun and wind protection with UPF50+ for your little one. The carry handle of the Cot S is placed along the sun canopy for easy carrying and attaching to a stroller base. Equipped with a memory foam mattress that supports the correct lying position of the little one, this biggest CYBEX carry cot is not only super-spacious but also offers a comfortable, sheltered place for your infant. It can accommodate a child from birth and up to 20 lbs. I am not sure if this carry cot with any other Cybex models. -Travel system option. You can also turn your stroller into a travel system by replacing the seat with an infant car seat. 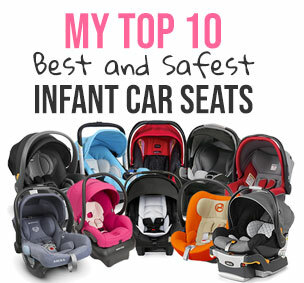 It works ONLY with Cybex, GB and Maxi-Cosi car seats which are the safest car seats on the market. Adapters are sold separately. -Works only with Cybex car seats. While you can convert Balios S into a travel system, it works only with Cybex, GB and Maxi-Cosi infant car seats which I love, but I wish it worked with other popular brands. Folded dimensions: 16″L x 23″W x 29″H. The Cybex Balios S comes in five colors: black, pink, red, blue and grey. That grey is my favorite! You can get Cybex Balios S in one of the five beautiful colors for around $399. It comes with a bumper bar only. All other accessories like cup holder or infant car seat adapter needs to be purchased separately. Hi, can I know if the seat can be fully upright? I know that the Mios Lightweight one can, but not sure about this model. Hello Susan, thank you very much for this review! We are looking for the perfect stroller for our boy, who is due to be born in one month. So far we were not able to find the stroller that would fullfill all our demands, but this one really looks just perfect! Trying to decide between the new Cybex Balios S and the Joolz HUB- any thoughts on those two? This stroller looks amazing! It seems to have everything I’ve been looking for in a stroller. Can you tell me how upright the seat sits? My daughter hates the slight recline on most strollers so I’m looking for something super upright. Just wondering why the Mios is so much more expensive than this one? This looks like it can do the same job, just a few pounds heavier? Im trying to decide between them. Is there a major difference between the iris – m air and the Balios S? How important are the all terrain wheels? I am buying this based on your review. Like you said in the beginning, it fits all the arbitrary criteria I have in mind when I search for a stroller. And there is an added bonus, the infant car seat adapters are actually included in the US version, I asked using the contact form on the Cybex official website and got a confirmation that they are indeed included. PS. The grey color is finally available!!! I want to purchase the Balios S stroller but unsure which maxi cosí infant car seat fits best. I want to know if the wheels is working for the winter and snow? Could you help me with one tip? I’m going to US to buy a stroller for my first baby and i’m in doubt between Cybex S Balios, Nuna Mixx2.and Baby Jogger City Mini GT. Whicj one is better in your opinion? Thanks you and congratulations for the blog. Hi! Thank you for your review of the Cybex Balios S! Where would this fit on your list of top 20 strollers for 2018 (if at all)? Currently torn between this and the Nuna MIXX 2 but am obviously drawn to the lower price point of the Cybex Balios. Any thoughts? Hi!! Thank you so much for all of your in depth reviews! I have been devouring every review you have trying to make a decision for our first stroller purchase. I was originally debating between the Nuna MIXX 2 and the Cybex Balios S but now am also torn between the Nuna Tavo 2019. I especially appreciate the price point of the Cybex Balios S and the Nuna Tavo. Can you offer any guidance?! I want to buy this stroller or the GB qbit+, I am still thinking about that…. Could you tell me if the reversible-seat is included in the price? Thanks for the great review! Quick question – would you know whether I can attach a car seat without removing the original seat and leaving just the frame? I’d like to avoid the additional step if possible! I am considering the Cybex Balio S and the UppaBaby Cruz. Which do you think is better? Mios and Balios S, if not consider the price, which one is a better option? Thank you! Mios and Balios S, if not considering the price, which one is a better option? Thank you! Will this handle bumps the same as the Balios M, or is it about the same ride? Does the seat sit higher than the M? I’m just trying to decide if the S is worth the extra money. Hi- I bought this stroller after reading this review! I already have a maxi cosi cabriofix car seat. Can I get adaptors to fit the Balios S stroller to make it compatible with my existing car seat? If so can you point me in the right direction please?